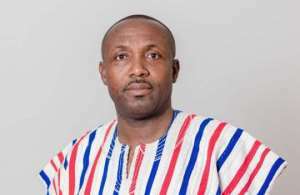 Mr John Boadu, the Acting General Secretary of the ruling New Patriotic Party (NPP) Monday urged all members both home and abroad to exercise restraint as the Party prepares for the upcoming constituency, branch and chapter elections. Addressing a media conference to announce the guidelines and modalities for the elections, Mr Boadi asked the members to be law abiding and united to ensure that the process run smoothly, devoid of acrimony. 'The party wishes to once again, make a passionate appeal to all stakeholders, especially the would-be candidates for the various positions in the upcoming primaries and their supporters to respect the rules of engagement and conduct this exercise with the necessary maturity so that we would have incidence-free primaries,' he said. 'We wish all the aspiring candidates the best of luck in the elections. Let us remain united and committed to the call of our party and government at all times so that we can continue to deliver the needed prosperity to the Ghanaian people. 'Once again, let it be said that the NPP come out of the 2018 primaries as a much stronger party'. The National Steering Committee of the Party, he said, at its second general meeting for 2018, which was held on Wednesday, February 6, considered and approved the rules and regulations for the conduct of constituency primaries, scheduled for February 21 to 24, 2018. He explained to the media: 'We have invited you here primarily to officially spell out the guidelines for the conduct of the party's forthcoming constituency primaries to elect constituency executives following the expiration of the mandate of the current constituency officers and in pursuance to Article 7 of the party constitution. He said the elections follows the completion of the Party's electoral area and polling station elections. 'As you would all attest to [the fact that] the exercise has been generally successful. There are, however, a few areas, numbering about seven constituencies where we have some challenges including law suits,' he stated. 'But the good news is that our legal, team led by Nana Obiri Boahen, the Deputy General Secretary, is competently handling these issues and making significant strides at resolving them. The Acting General Secretary, on behalf of the Party, extended gratitude to all stakeholders particularly the various aspirants in the elections and their supporters for the cooperation and maturity they exhibited throughout the exercise. 'We are also thankful to the media for a generally fair coverage and balance reportage and look forward to receiving a lot more of such cooperation in the remaining primaries,' Mr Boadu said. The National Steering Committee of the party, at its second general meeting for 2018, which was held on Wednesday, February 6, considered and approved the rules and regulations for the conduct of constituency primaries scheduled for February 21 to 24, 2018. Any founding member from the constituency who is a signatory to the registration document of the party at the electoral commission. 1) There shall be constituted, a Constituency Elections Committee (CEC) which shall conduct the constituency Officer's elections at the scheduled dates (21st - 24th February, 2018) and at a venue as the CEC may determine. 3) A member of the Constituency Elections Committee shall not be eligible to contest for any position in the Constituency elections. 4) A prospective candidate must be an active and known member of the party of good standing for at least two years. 5) A contestant must be a registered voter and a member of the party in the Constituency in which he/she seeks to contest. 6) Electoral Area or Polling Station Officers who wish to contest in the Constituency elections shall resign or vacate their respective positions before filing their nominations. 7) Applicants who wish to contest in the Constituency executive elections shall pay to the chairperson of the Constituency Elections Committee, a non-refundable nomination fee of two hundred Ghana cedis (GH¢ 200.00) for the chairperson position and one hundred Ghana cedis (GH¢ 100.00) for other positions. 8) Only prospective aspirants are entitled to purchase Application Forms from the Constituency Elections Committee. 9) No prospective aspirant shall not be denied access to procure Application Form. 10) If for any reason, an applicant is unable to procure an Application Form from the CEC, he/she may petition the Regional Chairman or General Secretary, for an endorsed Application Form at the Regional or National Secretariat respectively. 12) An aspirant for any of the Constituency executive elections shall be nominated by one (1) registered member and seconded by five (5) registered members of the party who are known, active and reside in that constituency, all of whom shall be members in good standing. 13) Three passport sized photographs shall accompany each Application Form. 14) The Constituency Album shall be used as the Register for the conduct of the elections. 15) The delegates to the conference shall vote with their party ID cards; but where same is unavailable, National Voters' ID cards may be admitted by the CEC for the purpose of voting. 16) The CEC shall, at the close of polls; paste photographs of all elected Constituency executives on prescribe Form and hand it over to the Constituency secretariat for compilation of the Constituency Album. 17) For the avoidance of doubt, the elections shall be conducted under the supervision of the Electoral Commission of Ghana as well as the Constituency Elections Committee. Having spelt out these Rules and Regulations on behalf of the party, I now have the singular honour and privilege to declare nominations for the various constituency executive positions duly open. 2) A member of the Chapter Elections Committee shall not be eligible to contest for any position in the Chapter elections. 3) An aspirant for the Chapter elections must be an active and known member of good standing for at least two years. 4) An aspirant shall be a registered member in the Chapter in which he/she seeks to contest. 5) An aspirant who wishes to contest in the Chapter elections may procure Application Form from the Chapter Elections Committee at a cost determined by the Chapter Elections Committee. 6) No prospective aspirant shall be denied access to procure an Application Form. 7) An aspirant for any of the Chapter executive positions shall be nominated by one (1) registered member and seconded by three (3) registered members of the party who are known, active and reside in that Chapter, all of whom shall be of good standing. 8) In adopting these Rules and Regulations, the Chapter Elections Committee, with recourse to the National Secretariat, can make some necessary modifications in order to suit their peculiar situations. 2) A member of the Branch Elections Committee shall not be eligible to contest for any position in the Branch elections. 3) An aspirant for the Branch elections must be an active and known member of good standing for at least two years. 4) An aspirant shall be a registered member in the Branch in which he/she seeks to contest. 5) An aspirant who wishes to contest in the Branch elections may procure Application Form from the Branch Elections Committee at a cost determined by the Branch Elections Committee. 7) An aspirant for any of the Branch executive positions shall be nominated by one (1) registered member and seconded by three (3) registered members of the party who are known, active and reside in that Branch, all of whom shall be of good standing. 8) In adopting these Rules and Regulations, the Branch Elections Committee, with recourse to the National Secretariat, can make some necessary modifications in order to suit their peculiar situations. The steering committee has directed each of the 10 regional executive committees of the party to, with immediate effect, organise an expanded regional executive committee meeting comprising all the constituency executives in the respective regions. The meeting, which would be held under the supervision of at least one national officer, shall set the stage for the constituency delegates' conference, where, inter alia, the Constituency Election Committee (CEC) shall be inaugurated.